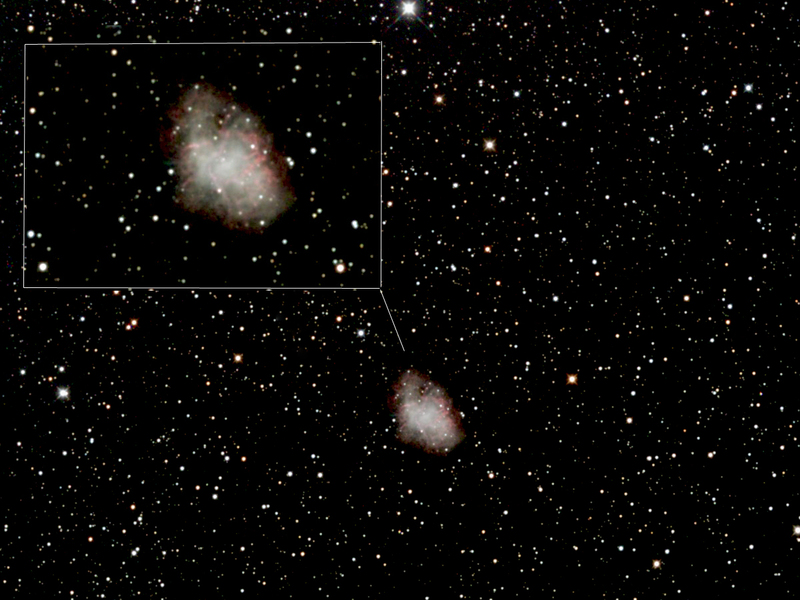 This latest image is of Messier 1 (M1), The Crab Nebula. Situated in the constellation Taurus, the Crab Nebula is the remains of a supernova remnant 6500 light years away. Thought to have exploded in 1054, it was recorded by Chinese and Arab astronomers as a guest star that shone brighter than Venus, being visible even in daylight. The remnant of that explosion is the emission nebula that can be seen today. The image is made up of 6 x Luminance 180 second exposures, 2 x 180 second exposures each of RGB. Calibrated and aligned in CCDStack.